Please call 609-896-4977 or visit the Adath Israel office if you want to make a donation using your credit card. For those members wishing to make donations or pay their dues through the transfer of stock: Inform the Adath office at 609 896 4977 of your intention to transfer the stock. There are many ways to give to Adath Israel Congregation. Please contact the Adath Israel Office to discuss giving options. The synagogue makes 5% on every dollar sold! It is an excellent way for the synagogue to make money without a labor-intensive fundraiser. Please consider purchasing your scrip/gift certificates regularly. Cash or checks only. Sorry, we are unable to accept credit cards for the supermarket certificates. Thank you in advance. – These funds are for the use of the congregation’s Senior Rabbi and Hazzan to distribute, as his or her discretion, in Temple-related affairs and operations. – This fund was created to provide compensation to Rabbi Grossman as Rabbi Emeritus of the Congregation. Proceeds from this fund are for the sole benefit of Rabbi Grossman and his family. – A memorial fund set up by the Adath Board of Trustees to be used for cultural events, concerts, lectures and speakers. 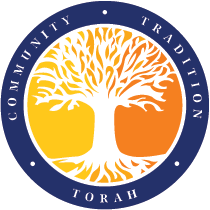 – A scholarship fund for our Synagogue youth to attend Jewish related experiences during the school year as well as in the summer. – This fund helps sustain the library, purchase new books and new equipment. – Monies to this fund help with Life Cycle events providing meals to families sitting Shiva or prayer books dedicated in a loved one’s name. Adult Education, Mortgage Reduction, Religious School, General and Kiddish Funds are fairly self-explanatory. If you have any questions about these funds, please contact the office at (609) 896-4977. Adath Israel provides many opportunities for donations that commemorate joyous family and congregational events or honor the memory of loved ones. At the same time, these donations contribute to the well-being of our synagogue. In the Jewish tradition, donations recognize anniversaries, weddings, birthdays, births, baby namings, graduations, conversions, Bar and Bat Mitzvahs and other special events or life cycles. By giving, you, your family, and your friends will feel good and you will be helping Adath. Good deeds such as these come in all sizes. 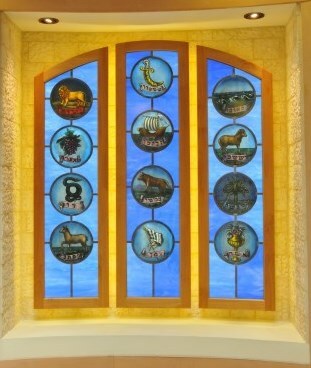 The list below is some of the larger opportunities for gifts and memorials that provide recognition in displays throughout the synagogue. Choose yours, and give what is appropriate for you. For details, call the synagogue office, (609) 896-4977. Tree of Life – Commemorates joyous family and congregational events. Rocks at the base of the tree – $750. Leaves – $200. Flowers (for births) – $100. Premium Membership – Annual recognition of members who contributed dues in excess of the required amount. Platinum – $1800. Gold – $900. Silver – $450. Star of Remembrance – Memorializes deceased family members on the eastern wall of the gallery. Stars – $750. Rectangles – $200. Bronze Tablets – Memorial plates on traditional bronze tablets – $400. Bronze memorial board – $18,000. Building Fund – Recognition for members who donate in excess of $25,000 to the Secure our Tomorrow…Today campaign. Boards located throughout the synagogue display the donor’s name, the item donated and the names of those being honored or memorialized. There are many other opportunities for donations of smaller sums, but not lesser satisfaction in the good deeds that help Adath Israel, while commemorating family and congregational events. Please call for further information (609) 896-4977.